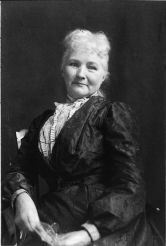 Mary Harris Jones, better known as Mother Jones, was an Irish immigrant who emerged as one of the most famous women in America. Today, her life is largely relegated to the dustbins of history – rather unfair, given her colorful life and the importance that she had to the labor movement. Born in County Cork, she and her family emigrated to Canada and then to the U.S. to escape the potato famine. She worked as a teacher and a seamstress and gave birth to four children. After losing her husband and children to yellow fever in 1867 and becoming dispossessed in 1871 by the great Chicago fire, she became a labor educator, organizer and tireless crusader for basic worker rights, for stopping the work exploitation of children, and for mine workers. She was also one of the founders of the Industrial Workers of the World (IWW), aka “the Wobblies.” There’s some dispute as to the date of her birth (she said 1830, others say 1837), but she lived to the age of either 93 or 100, an activist to the end of her days. 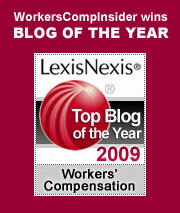 This entry was posted on Wednesday, March 17th, 2010 at 9:34 am	and is filed under History. You can follow any responses to this entry through the RSS 2.0 feed. Both comments and pings are currently closed.